Looking for entertainment I decided to pull out my camera and snapped a few shots of the shuttle train that runs between Nuneaton and Coventry. After attending the Rugby between Wasps and London Irish, we had time to kill. 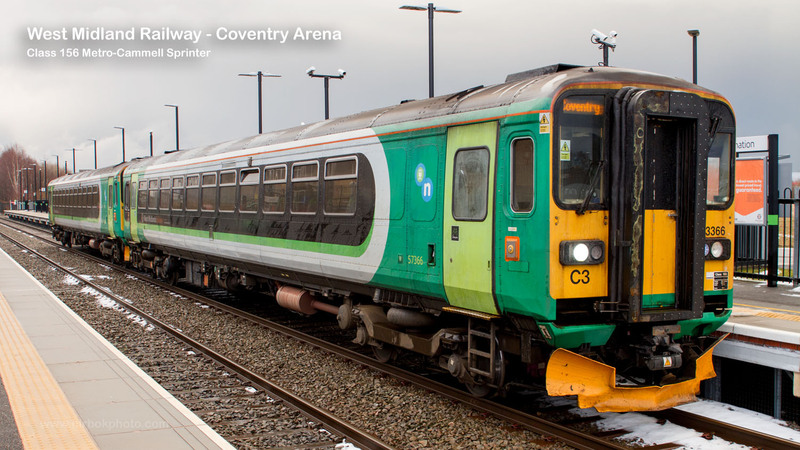 In fact we had around 45 minutes at the Ricoh Arena Station in Coventry. Lots of time to catch-up and discuss the game. The weather the past week had been horrendous. Travel had been disrupted by the “Beast from the East”, and snow still covered the ground. There is only one small train run on the Branch line between Nuneaton and Coventry, so it is a long wait. We watched our train stop and leave from platform 2, on its way to Coventry. It would then return in 21 minutes to platform 1, as the train returned to Nuneaton. Not being a avid train spotter I took the opportunity snap the local shuttle. I then researched it when I got home.